Achieve maximum efficiency by selecting a pre-built template and set your reports to automatically send monthly, weekly, daily or something in between. 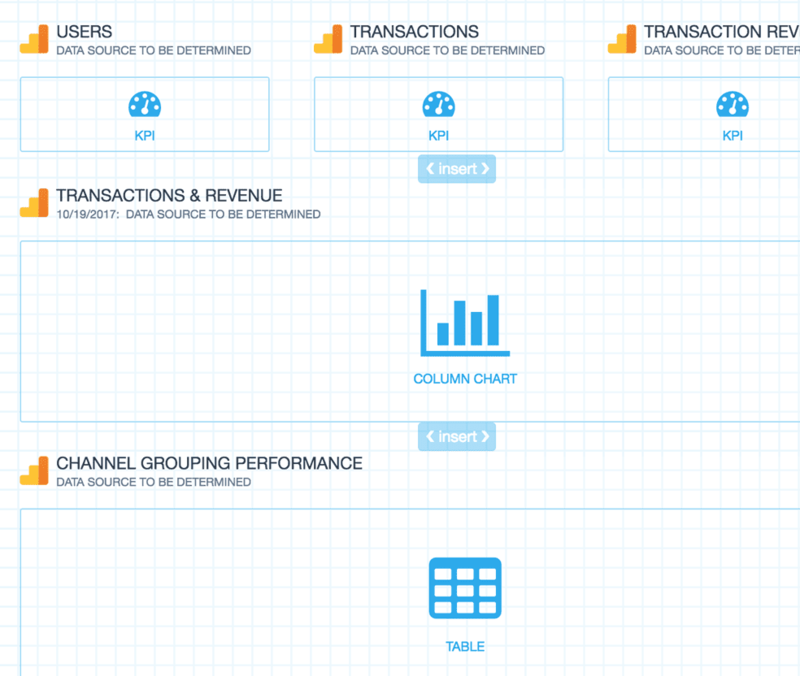 Or you can build a custom report based upon a client’s data needs, with the option to save and copy to other clients. Reports can be shared via online HTML format or as a PDF, and branded with your logo, colors and fonts. Check out our Google Analytics report example. 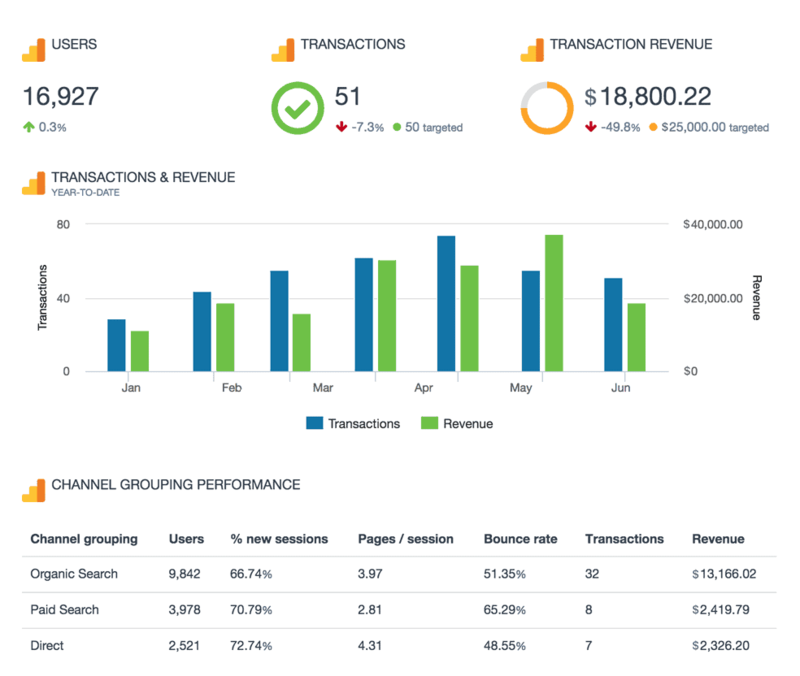 Pageviews, transactions, ROAS, goal completions – Swydo makes it easy to monitor and analyze the KPIs you need to manage and optimize your clients’ campaigns and help them make data driven decisions. Build your reporting using standard list of KPIs and widgets, or customize the data points you track depending upon your client’s business and needs. Bring all your PPC, SEO, social media and Google Analytics data together quickly and easily with hundreds of time-saving templates, predefined widgets, and KPIs. 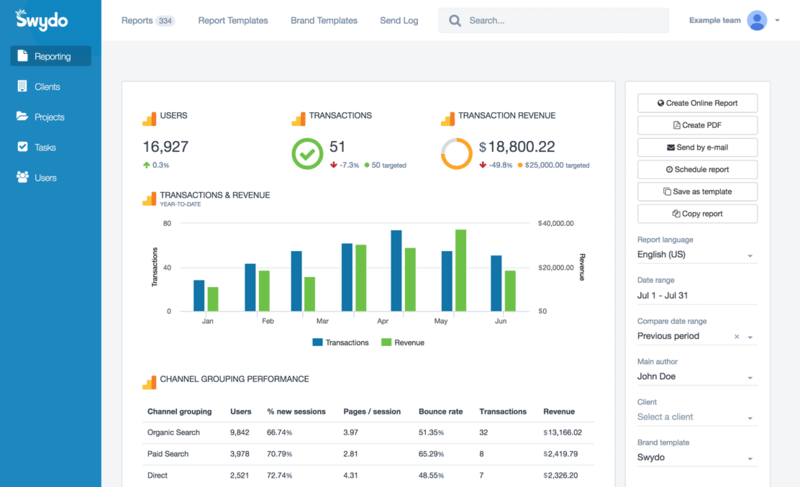 Swydo enables you to build reports which reflect your brand by incorporating your logo, text styles, colors and personalized cover pages. Translate reports and communicate with your clients in their native language with 14 languages available. Once you’ve created a report, you can schedule and send that report automatically as frequently as needed - monthly, weekly, daily - whatever your clients need. Customize reports to suit your clients’ needs. Build report templates and widgets from scratch. Provide executive summaries to help better understand the data. Share your reports via PDF or use our online HTML report option – whatever suits your clients or team best.